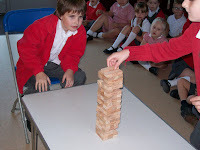 Last week we looked at CONSEQUENCES in our school assemblies. 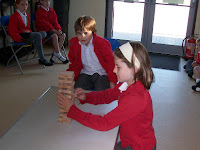 It all started with a simple game of Jenga between two children. As the game started to develop, every single move had a possible consequence. How did this happen? Quite simply, the Headteacher didn't think about not looking where he was going whilst talking to the rest of the school! 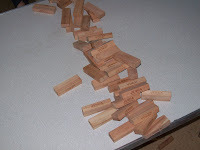 RESULT - game spoilt, two unhappy children, one embarrassed Headteacher and a pile of wooden bricks to re-assemble! The key message was that all of our actions have a consequence and it is important that we think of others whilst going about our day-to-day activities.